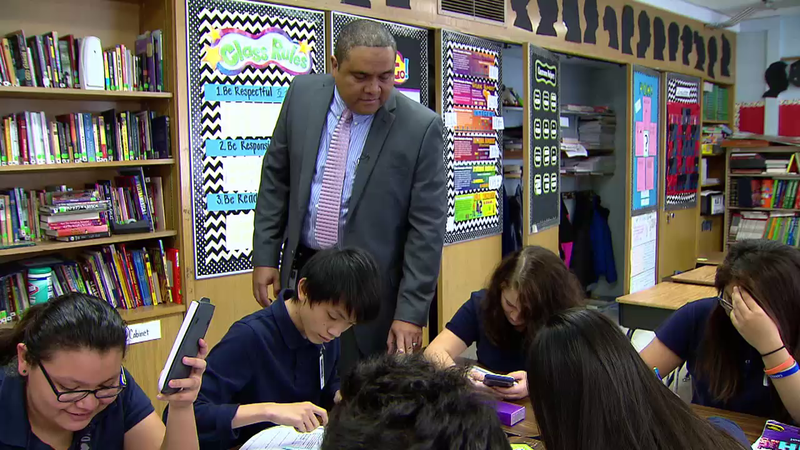 This school year, 70,000 students at 119 Chicago Public Schools started with a new principal at the helm. Researchers say principal turnover can mean two years of academic backsliding for students if a newly hired principal isn’t the right fit. A new report from the Chicago Public Education Fund, a nonprofit that works closely with CPS on principal training and support, details how to be sure the right person gets hired. The report is a follow-up to a principal survey conducted last year. Both take a look at how principals feel about their jobs, and especially how many of them are thinking about leaving. This year, that’s about 20 percent. But the fund says there are several other data points that help predict principal attrition. This school year, 46 principals are retirement eligible, 73 contracts will expire and there are 37 schools that face high turnover rates. What’s more: 43 percent of principals surveyed don’t have a plan to identify a successor. The report looks at what Local School Councils need to be prepared for when it comes to hiring a new principal, and making sure that new person is willing and able to stay for several years. One tool is a new website that was just launched last week where LSC’s can view the profiles of any principal looking for a job in the city. The report highlights the case at Kenwood Academy on the city’s South Side. The current principal there was brought on several years ago when the previous principal Liz Kirby was able to predict her departure. She used her own network of colleagues to identify a possible replacement and worked with her LSC to be sure everyone agreed the current principal, Greg Jones, would be the right fit and that he’d have enough time to ramp up before taking over. Some of the report’s recommendations for Local School Councils may seem obvious: anticipate leadership needs, cultivate talent and make the best match. But this year, 37 schools started their school year with their second or third principal in just four years. The fund says that’s a result of the wrong person being hired for a particular school. Last year, principals responded to the survey that compensation wasn’t the most important part of making their jobs better, but there may be some changes from CPS coming down the pike in the way principals are getting paid. Some principals tell us they haven’t received a pay raise in the last seven years, and only two cost of living adjustments in that same time frame. As part of the district’s phase out of the 7 percent pension pick-up for non-union employees, when an employee makes a job change – like an assistant principal being promoted to principal – the phase out begins for them. There is some concern about whether that will discourage assistant principals from going after that promotion, especially if they’ve been working as an assistant for a long time. The district is forming a principals and assistant principals working group to address principal compensation, though it’s in the early stages and they’re not releasing much information about it just yet. Nov. 3: Six out of 10 CPS principals leave their position within five years of being hired. The district hopes a new public-private partnerships will help keep principals around beyond their first contract. Nov. 3, 2015: A new report from the Chicago Public Education Fund surveyed 65 percent of district principals and found four key ways to keep the city's best school leaders on the job longer.